Planning for your retirement is a fundamental part of life. This type of financial planning ensures that you have enough money to live off of in your golden years. Retirement planning is a key part of wealth management in London, as well as nearly everywhere around the world. There are a few money managements principles that can help you get and keep the money you need for you retirement. Starting early is a necessary evil. Nearly every financial institution recommends it. No one wants to spend their life thinking about their finances, so getting them taken care of soon takes a huge load off of your shoulders. You should consider how much it will take for you to live comfortably during retirement. When you start early, it gives you a chance to build your savings without taking too much away from your day-to-day expenses. Even if you start saving in your 50’s, you will still be able to pad your investments and savings with a little dedication. 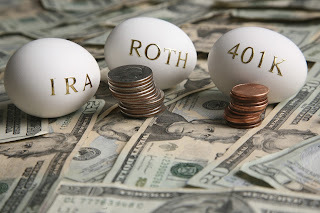 IRAs and 401(k)s are a great way to build up your savings for retirement if you live in the United States. A 401(k) allows you to save your own money, with additional contributions from your employer. These contributions can be in small increments or large, one-time payments, depending on how you best like to save. Funding an IRA, or Individual Retirement Account, allows you to set your own money aside for later use. Someone who is 50 or older can contribute up to $6,500 annually, which can come in the form of stocks, bonds, investments or cash. Reducing your spending little by little frees up more money to be saved for later. If you eliminate small, unnecessary things, like coffee or name brand goods, you can save money very quickly. This is money that can be filtered into investment programs or your savings account. Where you put the money isn’t the most important thing, just knowing that it is there is helpful. By eliminating or reducing these small indulgences, you are allowing yourself the possibility to enjoy your life more fully in the future. If investment and saving isn’t your strong suite, it is always good to hire a wealth manager. These firms can show you exactly how and when to save for retirement. They know the ins and outs of investment strategies so that you don’t have to worry about them. Having a great money manager on your side can save you time and headaches in a way that nothing else can. Financial planning is a crucial part of life, especially in your later years. These few, simple to follow tips can lead you where you need to be where retirement is concerned. The understanding that you have what you need to thrive in your retirement years can be a huge relief. 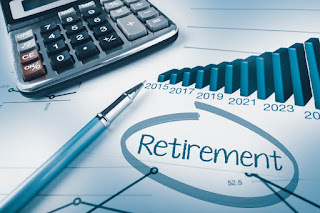 Knowing that you will be taken care of and that your loved ones won’t have to worry about you makes the decision to retire easier in so many ways.